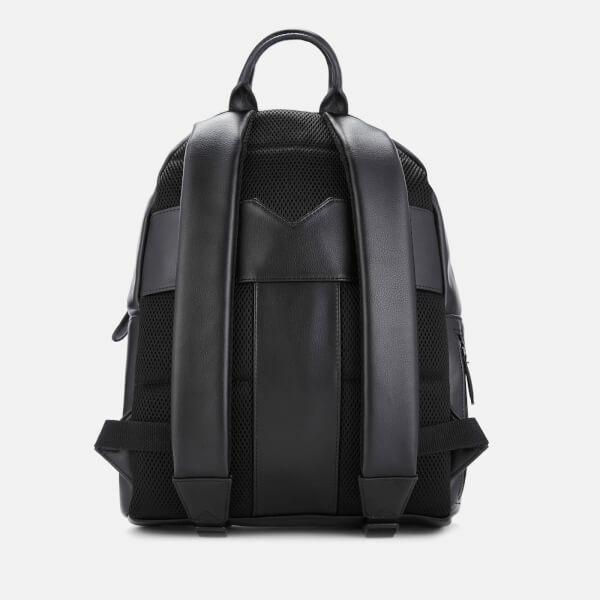 Black ‘Dominoe’ backpack from quintessentially British fashion label, Ted Baker’s men’s accessories collection. 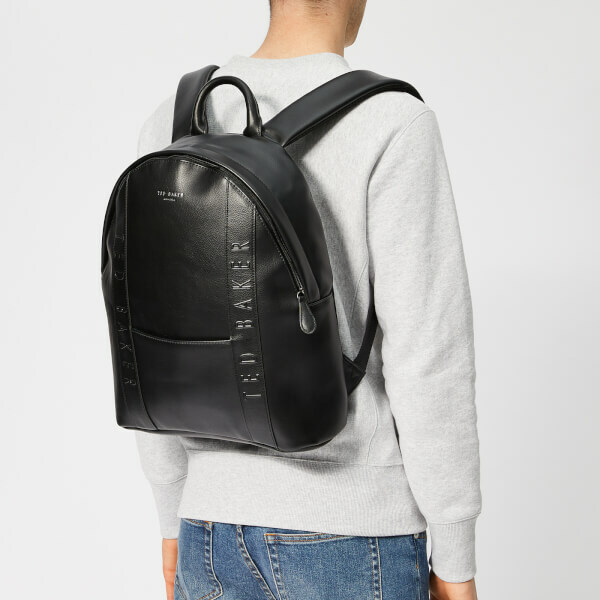 Crafted from pebble-textured faux leather, the sleek, minimalist rucksack features a front slip pocket, zipped side pocket, rolled top handle, adjustable shoulder straps and a mesh-cushioned back panel for comfort. 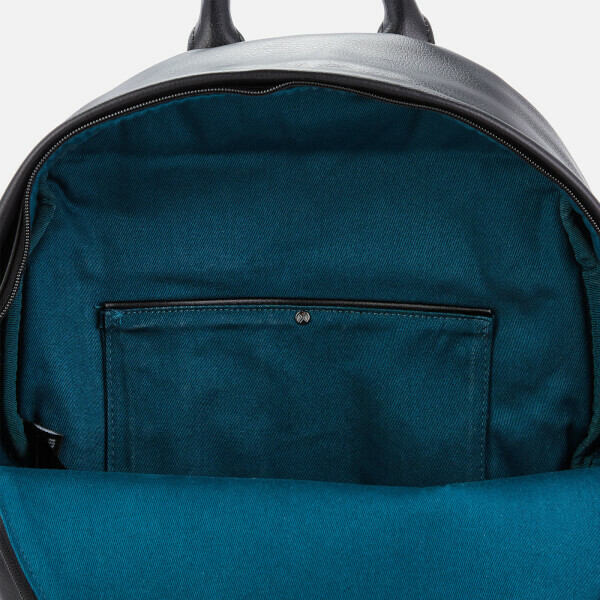 The roomy zippered main compartment is lined in teal ribbed textile for a pop of colour and houses a large slip pocket within. 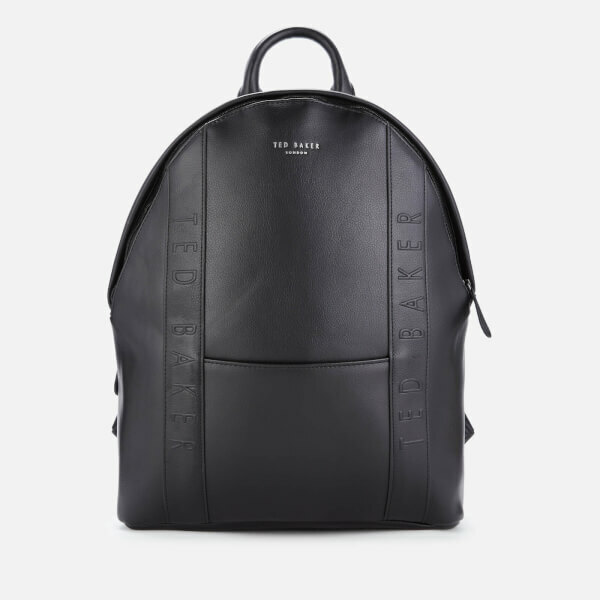 Complete with two vertical overlays on the front with debossed Ted Baker branding, and a silver foiled logo at the top. Dimensions: H: 42cm x W: 32cm x D: 10cm.